Manpreet, an estranged nephew of the chief minister and former finance minister, is the joint candidate of the Congress and his People's Party of Punjab (PPP) from Bathinda against Chief Minister Badal's daughter-in-law and sitting MP Harsimrat Kaur Badal. 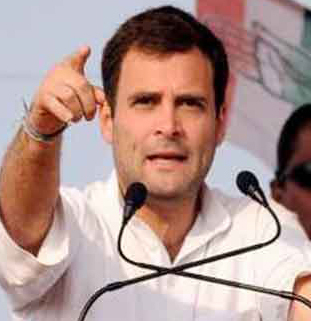 "This fight is about ideology between the Congress and the Akali Dal-Bharatiya Janata Party. Our ideology it to take everyone along while they think only about a few individuals," Gandhi said. The drug problem had ruined the lives of people, especially youth across Punjab, but the Badal government was not bothered, he claimed.